In this inventive, fast-paced novel, New York Times bestselling and Printz Award-winning author Paolo Bacigalupi takes on hard-hitting themes--from food safety to racism and immigration--and creates a zany, grand-slam adventure that will get kids thinking about where their food comes from. 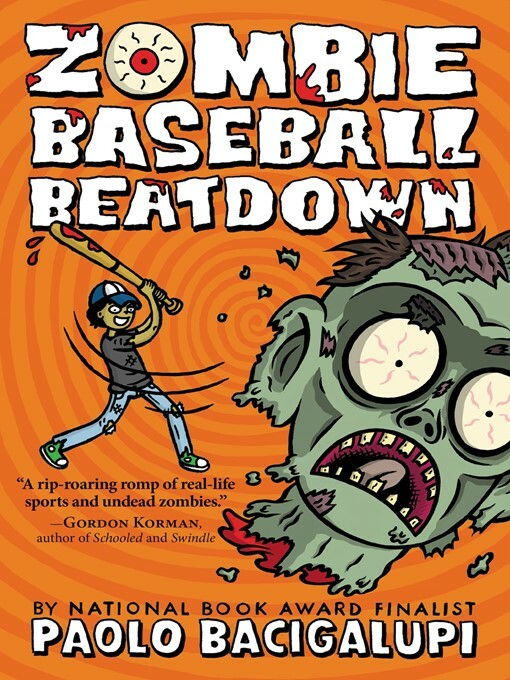 The zombie apocalypse begins on the day Rabi, Miguel, and Joe are practicing baseball near their town's local meatpacking plant and nearly get knocked out by a really big stink. Little do they know the plant's toxic cattle feed is turning cows into flesh-craving monsters! The boys decide to launch a stealth investigation into the plant's dangerous practices, unknowingly discovering a greedy corporation's plot to look the other way as tainted meat is sold to thousands all over the country. With no grownups left they can trust, Rabi and his friends will have to grab their bats to protect themselves (and a few of their enemies) if they want to stay alive...and maybe even save the world.